Believe it or not, the mornings can be a lot less stressed if you just have the right strategy in place, writes Dr Laura Markham. Sound familiar? The bad news is, even working as hard as this parent is – offering choices, making it into a game, preparing the night before – there is no guarantee that things will go smoothly. Those things help enormously, but sometimes the needs of kids and adults simply clash. What does a four-year-old need in the morning? Well, everyone is different, but most of us need some time to make the transition from sleep into busy activity; most kids balk at feeling pushed. Most four-year-olds need to “do it myself”. Most four-year-olds want to make their own decision about when they need to pee. And I’ve never met a four-year-old who understands why that meeting Mom has to get to is more important than whether he can find his toy car. Wouldn’t it be amazing if all parents could have flexitime, so there’s more time in the morning for small humans to have a more humane start to their day? But that’s not possible for many families. So what is the answer? Re-frame your idea of the morning routine. What if your main job was to connect emotionally? In that way, your child would have a genuinely “full cup”. Not only would he be more able to co-operate with you to get ready, he’d be more able to rise to the developmental challenges of his day. If you have to wake your kids in the morning, they aren’t getting enough sleep. Every hour of sleep less than they need sets them back a year in access to brain function, meaning they act a year younger. So, if you are dragging your child out of bed, make it top priority to start bedtime earlier. If you have to use an alarm, you aren’t getting enough sleep. (Sorry.) The morning routine requires infinite creativity and energy from parents. Your kids depend on you to start your own day with a “full cup”. There’s no way to stay patient when you’re exhausted. And if you’re running around trying to shower and get yourself ready, you can’t give kids the patient connection they need from you. Get up earlier than your kids so you are dressed and emotionally centred before you interact with them. Plan on routinely getting to work 15 minutes earlier than you’re due. Half the time, you won’t make it, but you also won’t lose your temper at your kids because you won’t actually be late. The other half of the time, you’ll have a more relaxed start to your work day so you’ll be more effective at work. Backpacks, brief cases, lunches made, clothes laid out, coffee pot prepared, breakfast planned. Involve the kids the night before too, so they choose their clothing and find that toy car. I know, it sounds impossible. But if everything else is already done, you can relax for five minutes. That time connecting with your child will transform your morning. You fill your child’s cup before the day starts, and you reconnect after the separation of the night, which gives your child the motivation to co-operate instead of fight with you. This is the best way to prevent morning whining and resistance. If your goal is to give your child a good start to his day, then you need to see your job as helping him move through the morning routine happily, not just barking orders. That might mean you bring his clothes downstairs with you and he gets dressed next to you while you’re feeding the baby so you can acknowledge him: “I notice you picked your blue shirt again. You like that shirt … You’re working so hard on figuring out which shoe goes on which foot … Today you’re humming while you get dressed.” Remember, getting dressed is your priority, not his. Your presence is what motivates him. He is borrowing your “executive function” to keep himself on track. 8. Keep the routine as simple as possible. So, for instance, you may want to rethink breakfast. I know, you want to serve your child a hot breakfast at the table. Me too. But I have one kid who just wasn’t ready to eat as soon as she got up, so there were many times when she regularly ate a sandwich in the car. 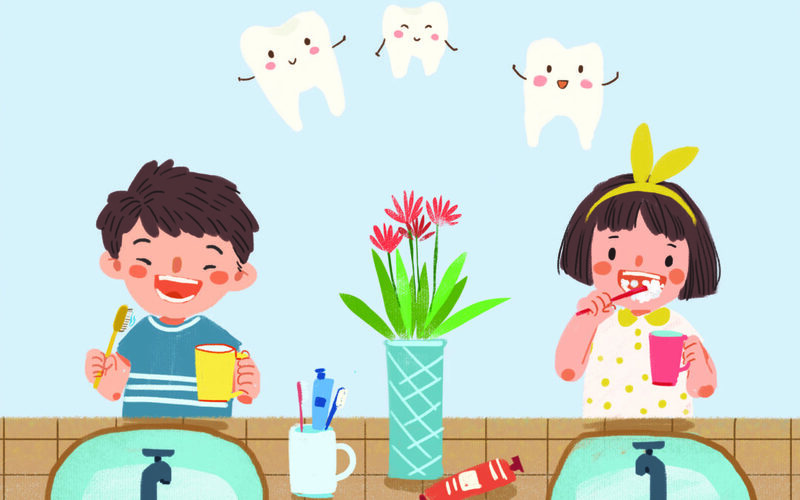 No less healthy, more peaceful – a better start to the day.Worried about brushing teeth? I handed her a toothbrush and sippy cup of water after her sandwich. No toothpaste in the mornings for a few months. If you consider that too much of a compromise, you’ll need to find a solution that works for you, but the point is that there are no rules. Why can’t they sleep in the T-shirt and leggings they’ll wear to school? Why can’t you just put her hair in a ponytail instead of brushing it, or braid it after her bath, let her sleep with it in the braid and wear it to school without brushing? No one likes to be pushed around. Does he want to brush his teeth upstairs in the bathroom, or standing on the stool at the kitchen sink while you’re getting the baby out of the high chair? Does he want to put his shoes on first, or his jacket on first? Cede control whenever you can. You may think he should use the bathroom as soon as he gets out of bed, but he wants to be in charge of his own body. As long as he’s not wetting his pants, it’s better to let him make that decision for himself. Sometime on the weekend, grab a mom and baby stuffed animal. Have them act out the morning routine. Have the little one resist, whine, collapse. Have the mom “lose it” (but don’t scare your child by overdoing it. Have the mom be a funny, incompetent bumbler.) Your child will be fascinated. Then, hand your kid the “mom” and play out the scenario again, with you being the kid. Make it funny so you can both giggle and let off tension. Make sure to include scenarios in which the kid goes to school in his PJs, or the mom goes to work in her PJs, or the kid has to yell at the mom to hurry up and get ready, or the mom says “Who cares about that meeting? Let’s tell the boss it’s more important to find your toy car!” Give him in fantasy what he can’t have in reality. You may learn something about how to make things work better. Almost certainly, you’ll see more understanding and co-operation from your kid on Monday. At the very least, the laughter will defuse the tension. If you’re a single parent, you don’t need me to tell you to postpone anything non-essential. Even if you have two parents in the home, if both parents are working full time while children are small, there is simply no way to do anything “extra” during the week. This is the only way you can go to bed early enough to stay in a good mood in the morning. And your child depends on your good mood to regulate his own moods. Don’t worry, these years don’t last forever. You’re laying a wonderful foundation for him to take more and more charge of his own morning routine. Modern life puts pressures on kids and parents that undermine our connection to our kids. But we need that connection to smooth the speed bumps of life. Our kids need it, not only to co-operate, but to thrive. Luckily, when we make connection our priority, everything else gets a little bit easier. 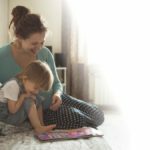 Here’s a note from a mom who decided to transform her mornings from stressful to connecting. What would it take for you to do that? Why not try it?